1. Since the publication of Produzione di merci a mezzo di merci (Sraffa, 1960), the influence of Piero Sraffa in contemporary economic debate has been enormous, in Italy and England at least, both as regards his close relationship with classic economists (including the «deviant» Marx) on the one hand, and the destructive consequences on the neo-classical approach, on the other. For some, particularly at Cambridge (Great Britain), Sraffism, as a «premise to a critique on economic theory» represented, to quote a Kuhnian expression - a turning point in the paradigm of economic science. Parallel to the phenomenon of the so-called «return to Ricardo», linked to Sraffa's theoretical analysis, in Italy as elsewhere there has been a reawakening of interest, in the theory of Ludwig Wittgenstein and a revaluation of its importance in contemporary philosophy. This revival is to a certain extent attributable to the crisis that hit Marxist and Freudism (Benvenuto, 1983). Against this background, there is a historical vacuum which relates precisely to an understanding of the relationship between Sraffa and Wittgenstein and, more generally, to the cultural climate that animated Cambridge during the thirties. Partly to make up for this deficiency, Aurelio Macchioro suggested asking Sraffa to produce a book containing «all his writings, including historical introductions and some of his historical notes to Ricardo, with historical-critical introductions on the theoretical (and civil) environment at Cambridge before the second world war», but his proposal was not taken up (Macchioro, 1973, p. 13). Apart from a few vague anecdotal references, including those, now famous, supplied by Norman Malcolm (1974) and Georg Henrik von Wright (1983) in their biographical profiles of the Austrian philosopher, there is a direct witness to the importance of that relationship provided by Wittgenstein himself. In his introduction to Philosophische Untersuchungen he acknowledges that the discussions he had over the years with Sraffa had the merit of making him seriously rethink his philosophical research. Besides criticism from Ramsey, «my gratitude», writes Wittgenstein, «goes to the influence that the criticism of a lecturer of this University, P. Sraffa, has continually had on my theory throughout the years. I am indebted to this stimulus for the more fecund ideas in my present writing» (Wittgenstein, 1980a, p. 4). Sraffa's criticism made him feel like «a tree whose branches had all been pruned». And this, if nothing else, denoted that their acquaintanceship went far beyond the kind of relationship that might have built up in the compartment of a train (presumably during the journey from London to Cambridge) during which - it appears - Sraffa made his historical «Neapolitan gesture» («he passed his fingertips under his chin [...] and asked: "What is the logical form of this? "»), which threw Wittgenstein into a quandary and compelled him to revise his theory in Tractatus Logico-Philosophicus according to which a proposition is an «image» of the reality it describes. As Wittgenstein once confessed to Rush Rhees, student and one of the executors of the Austrian philosopher's will, the greatest gain from his conversations with Sraffa was an «anthropological way of confronting philosophical problems» (Monk, 1991, p. 260). If account is taken of the fact that one of the major differences between Tractatus Logico-Philosophicus and later works lies in the importance of the role played by the «current of life» in giving linguistic expressions their own meaning, then the power of Sraffa's influence is easily understandable, even though later he always tried to belittle it (Potier, 1990, p. 67). In a conversation with Ferruccio Rossi-Landi in 1960, Sraffa minimized «his own influence on the intellectual formation of the second Wittgenstein» attributing the words of gratitude expressed by the latter in Philosophische Untersuchungen to a simple form of courtesy, admitting that «perhaps there had been something and hinted at the possibility of writing about it himself» (Rossi-Landi, 1968, p. 107), without however keeping his promise. Just how intense and complicated was the association between Wittgenstein and Sraffa can also be deduced from another testimony provided by Rhees himself. He recounts that in May 1946 Sraffa «decided to interrupt his conversations with Wittgenstein since he could no longer devote time and attention to the matters he proposed to him» and that this was a hard blow for Wittgenstein who «endeavoured to convince Sraffa to continue their weekly conversations with the undertaking to keep off philosophical themes». «I am prepared to talk about anything», he told Sraffa, who replied, «Yes, but in your way.» (Monk, 1991, p. 479). It is known for certain that Sraffa influenced Wittgenstein not only philosophically, but also politically: Wittgenstein, in fact, greatly respected Sraffa's point of view on political matters (Monk, 1991, p. 340). Naturally, the matrix of the change in the «second» Wittgenstein's analytical mode is neither concentrated nor expended in Sraffa's criticism (the actual contents of which, incidentally, are unknown), but is wider and more complex and encroaches on influences whose origins are to be found in the pragmatism of William James and Frank Plumpton Ramsey, in mathematical intuition, in the «common sense realism» of George Edward Moore, etc. More generally, Wittgenstein himself indicated the names of those who influenced him. Besides Sraffa, the list included: Ludwig Boltzmann, Heinrich Hertz, Arthur Schopenhauer, Gottlob Frege, Bertrand Russell, Karl Kraus, Adolf Loos, Otto Weininger and Oswald Spengler (Wittgenstein, 1980b, p. 457). 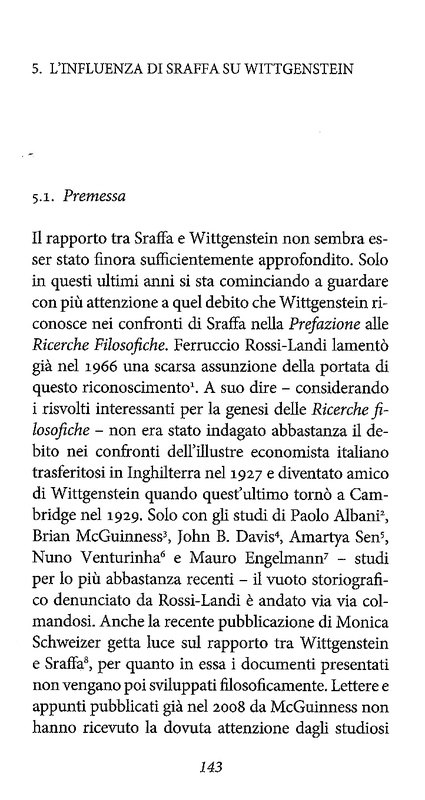 In strictly historical terms, any attempt to fill the cognitive vacuum in the friendship between Sraffa and Wittgenstein is a somewhat arduous task because the sources (letters, diaries, testimonies, etc.) on which to draw are practically non-existent or are as yet unpublished. Nevertheless, a closer look at the connection of ideas and the affinity of critical revision in their respective economic, philosophical and, even «stylistic» fields, (it is significant that both used an «aphoristic» method of writing, composed of short, concise, numbered paragraphs) and which are common to both Sraffa and Wittgenstein, may be useful in delving deeper into the intellectual laboratory of the Italian economist and providing a point of departure for reflection on the methodological debate in economy. Unlike other authors - Karl Marx or John Maynard Keynes, for example - Sraffa has never explicitly mentioned his own method, apart from a reference, in the preface of Produzione di merci a mezzo di merci, to the point of view of classic economists - «From Adam Smith to Ricardo» - on the nature of his own studies which «concerns only those properties of an economic system which are independent of variations in the volume of production and in the proportions between the 'factors' employed», and a «Note on sources», in the appendix to the same book, from which it is deduced that on some particular points (production and consumption system as a circular process, basic product, standard commodity, joint product, maximum profit rate), the indications of François Quesnay, Adam Smith, David Ricardo and Karl Marx have been followed. Sraffa's method must therefore be surmised from the wider context of his writings (from those of 1925-1926 up to Produzione di merci a mezzo di merci, and including the critique on Works and Correspondence by David Ricardo). In an attempt to enucleate a possible (and plausible) key to reading the Sraffian method, by looking firstly at his language, at the way he «writes» his model, putting his propositions together from 1955 onwards, «on the basis of a set of old notes», we believe that Wittgenstein may be of help to us because, as will be seen later, within certain limits, his philosophy acts as an explanatory filter to the Sraffian critique of economic theory. 2. No organic studies and certainly none of any great significance are available on the Sraffa-Wittgenstein relationship, owing to the lack of written matter to which reference can be made. To date the only letter, of which we are aware, written by Sraffa to Wittgenstein on 14th March 1938, is a detailed analysis of the situation in which Wittgenstein found himself following the «Anschluss», i.e. the annexation of Austria to Nazi Germany (Monk, 1991, pp. 388-391). However, in making more general analyses, various other authors have considered the possible methodological convergences between the Italian economist and the Austrian philosopher. One of these is Alessandro Roncaglia who, in his book Sraffa e la teoria dei prezzi (1975) affirms that «the marginalist methodology shows a strong parallelism to that proposed by the Austrian philosopher, Ludwig Wittgenstein, in his first work, Tractatus logico-philosophicus», whereas «Sraffa's analysis seems to revert to the methodology adopted by Wittgenstein in Philosophische Untersuchungen» (Roncaglia, 1975, pp. 137-140). Although it must be said in passing that comparison between the two Wittgensteins does not lend itself to being over-schematized (and indeed Wittgenstein himself recommends that the propositions of Philosophische Untersuchungen be read «against the background» of his old way of thinking), Roncaglia's theory is borne out by the following arguments. From the «first» Wittgenstein, that is, the one that puts forward the possibility of a logical, axiomatic construction of propositions that describe the world in a rational form, it is possible to extrapolate analogies with the way in which the marginalistic theory of value and distribution was formed, i.e. «the atomistic basis of reality and theory ("economic agents" and "commodities"), a correspondence between the facts of the world and the elements of language (i.e. of theory insofar as it is a rational decision of reality), the demand for a complete description in accordance with the general rules of all that is describable of the world (the "general theories" so dear to neo-classic economists).» (Roncaglia, 1975. p. 138). Conversely, the «second» Wittgenstein, the one renowned for language games, is likened to Sraffa's method of analysis because in Produzione di merci a mezzo di merci a theory is devised which, while definitively solving the problem (the direct influence of income distribution on relative prices) «lays no claim to expending the sphere of economic research; indeed, because of the way in which its boundaries are delimited, it highlights the existence of a series of problems outside its sphere: distribution, activity levels, technology» (Roncaglia, 1975, p. 141). So, according to Roncaglia, the affinities between Sraffa and the «second» Wittgenstein consist in their methodological refusal to solve with a «general model» every particular case that arises in the field of economic problems, on the one hand, and linguistic problems, on the other. «The problem», Roncaglia points out in a note - «is extremely complex, and we do not intend to expound a fully articulated methodological position in these pages, but merely to indicate some useful elements for studying the question. In this sense, it is opportune to recall that: a) there may be logical connections between various theories regarding different phenomena, even though formal standardized treatment of the various problems is not possible - or indeed useful; b) the problem of production prices plays a central role in economic theory; c) the various theories, implicitly or explicitly, invariably come within a basic concept of the reality to which they refer, and in this way the meaning of the concepts used in them is clarified.» (Roncaglia, 1975, p. 143). Like Wittgenstein, he exonerates himself from that part of research which has given him the biggest headaches, i.e. that regarding the general form of proposition and language and perceives in the manifold language games only a complicated network of «family resemblance», a relationship that is fulfilled in different ways; in this way Sraffa too avoids the trap of standardizing treatment of all economic problems on a single formal basis. If this interpretation is correct, in that it shows a methodological tendency common to both Sraffa and the latter Wittgenstein, identifiable against a background of very general considerations, it does not however consider sufficiently in depth the problem of the nature of the Sraffian propositions formulated on the basis of an analytical preoccupation mainly of a logical-formal nature; Roncaglia's interpretation does not therefore appear to comprehend the connections that link the Sraffian approach to that of Wittgenstein on linguistic ground proper, in other words in terms of the use of a language which, as specified later, must for both be limited to showing only that which «can be said». Giorgio Lunghini assumes quite a different position, as expressed in the introduction to his book Produzione, capitale e distribuzione (1975), entitled «Economic theory and political economy: notes on Sraffa» (Lunghini, 1975). Lunghini begins by affirming that Sraffa's book of 1960 contains no proposition of any direct importance for the purposes of practical politics and indeed that it is devoid of all reference to the laws of movement of concrete economic systems. It is therefore a book on the subject of «economic theory» in general and not «political economy», the former intended as a rational nucleus of the latter. The problems posed by Sraffa are solvable only insofar as they are reducible to problems of theory and can therefore be treated by algebra which guarantees the rules of logic. «The use that can be made of the propositions enunciated in Produzione di merci is left to others: because this use presumes the enunciation of other propositions, which have no part in economic theory.» (Lunghini, 1975, p. XVIII). Sraffa's analysis is recorded thus: «strictly and apparently paradoxically» within the outlines set by the rules of Tractatus, where it is affirmed: «6.53 the correct method of philosophy is precisely this: say nothing other than that which can be said» and also: «7 Keep quiet about that which cannot be said». Lunghini comes to the conclusion that «Sraffa writes only what can be written: leaving others to say metaphysical things and proposing to "show them that he has given no meaning to certain signs in his propositions"» (Lunghini, 1975, p. XVIII). As can be seen, Lunghini's view differs widely from the previous one, not only in the different «use» of Wittgenstein in his approach to the analysis of the Sraffian model, but also in his basic opinion concerning the latter. For Lunghini, Produzione di merci a mezzo di merci in the positive is an example of «theory» (on which there is nothing to be said), which goes to demonstrate the falseness of neo-classical calculations and seems to provide the rational side of some of the problems of classical political economy with a 100% accurate means of calculation. However, the way in which these problems are solved, by adapting them to logical terms, makes realistic specifications impossible and therefore prevents «closing» of the Sraffian model. The philosopher of language, Ferruccio Rossi-Landi, also concerned himself with the Sraffa-Wittgenstein bond. In his book Il linguaggio come lavoro e come mercato (1968), Rossi-Landi speculates on the lines along which it is possible to trace the influence of a «neo-Ricardian and neo-Marxist» economist like Sraffa on a «logician contaminated by a metaphysical absolutism and open to mystical evasions» like Wittgenstein. According to this interpretation, the element that unites the two friends is Marx (Rossi-Landi, 1968). Also in a methodological context, Rossi-Landi discerns other elements that link Wittgenstein closely to the classical economists (Smith, Ricardo, Marx), for whom Sraffa indicates a definite return. Like the latter, Wittgenstein also «refuses any model obtained through generalization of common properties, but builds his "language games" precisely as an independent totality determined by the discarding all that is irrelevant or of minor importance », a theory which recalls in essence that of Alessandro Roncaglia. Lastly, Rossi-Landi goes so far as to find a true identity of procedures followed by Sraffa and Wittgenstein, at least in the initial stage of their respective books Produzione di merci a mezzo di merci and Ricerche filosofiche. In fact in the same way that Sraffa passes from one productive model for subsistence to another with surplus, so Wittgenstein in the first example of Ricerche filosofiche initially conceives a primitive language, consisting of four words (brick, pillar, slab, beam) and only subsequently widens their range. Terry Eagleton, in an article entitled «Wittgenstein's Friends», appearing in number 135 of the New Left Review of 1982 (Eagleton, 1982) also referred to Sraffa's Marxist influence on Wittgenstein. In brief, Eagleton draws a parallel between the objective of philosophical de-mystification found in the writings of Antonio Gramsci, a great friend of Sraffa, and that pursued by Wittgenstein. In the wake of one of Wittgenstein's anti-philosophical connotations, the range of points of contact between the latter's theory and other theoretical analyses could be extended and, in point of fact, many have likened the figure of the Austrian philosopher to that of Friedrich Wilhelm Nietzsche, to philosophies of crisis, to existentialism, etc. (cf. Gargani, 1980, p. 121). In general, the interpretation which sees the Sraffa-Wittgenstein relationship in a Marxist context arouses some perplexity, if for no other reason than for Gramsci's well-known opinion that attributed a «liberal-democratic approach, that is, normative and Kantian, not Marxist and dialectical» to Sraffa's intellectual formation (Gramsci, 1971, p. 179). There is no doubt that Gramsci's affirmation, seen in retrospect, certainly appears to have been dictated principally by political tension and contrasts and is an invitation not to discard prejudicially those Marxist pointers indicated by Rossi-Landi and Eagleton. Moreover, Gramsci himself, in a letter dated 21st March 1924, addressed to Palmiro Togliatti and other communist party leaders, after branding Sraffa's political position as «maximalist», added that the Italian economist «is certainly still a Marxist» (Togliatti, 19894, p. 242). Nevertheless, the fact remains that this characterization of the Sraffa-Wittgenstein relationship, in which the common denominator would appear to be a «critique of the political economy» of Marx, besides leaving us perplexed as to the position of Wittgenstein (who in 1934 still considered he was «a communist, right to the heart») presupposes the acceptance of Sraffa as firmly anchored to the theoretical base of Marxist tradition, albeit critically renewed. A theory that gives rise to some suspicion, for at least one good reason: Sraffa's economic formation was declaredly of Ricardian origin and it would be debatable, to say the least, to derive his «Marxism» from an operation that puts the analysis of Ricardo and Marx on the same level, or, in other words, that tends to «Ricardize » Marx. Brian McGuiness' theory on the Sraffa-Wittgenstein relationship, illustrated in a brief note entitled «Sraffa, Wittgenstein and problems in the logical method», presented at a conference on the Italian economist, held in May 1984 by the «Antonio Gramsci Institute of economic and social Sciences of Piedmont», is that Wittgenstein's «anti-positivism», or «therapeutic positivism» goes back to Sraffa «for the idea that the way of thinking reflects the character of a culture», and linked this argumentation to the Wittgensteinian critique of «private language», in other words to the belief that «it is impossible to understand a person if he is abstracted from the collectivity to which he belongs» (McGuiness, 1986, p. 89). John B. Davis echoes this notion in his article «Sraffa, Wittgenstein and neo-classical economics» published in no. 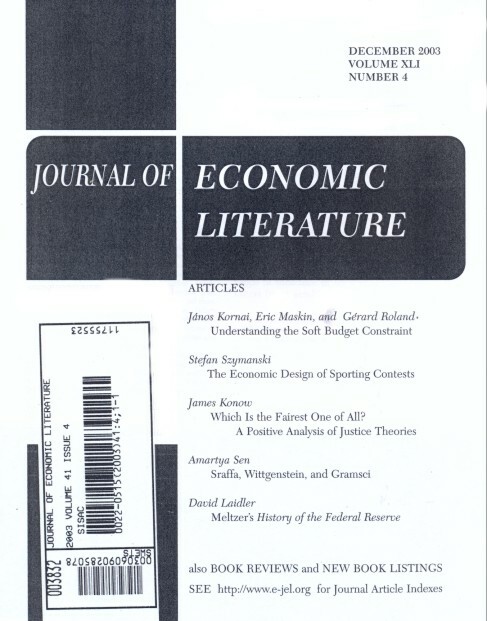 12 of the Cambridge Journal of Economics in 1988, in which he affirms that Wittgenstein's remarks against private language, partly the outcome of discussions with Sraffa, «can be used to cast doubt on the neoclassical treatment of the demand side of economy» and this by virtue of the fact that, «just as any language is necessarily intersubjective and non-private, so the formation of an individual's preferences is necessarily an intersubjective, non-private activity» (Davis, 1988, p. 35). 3. As already mentioned, one of the few fragments of conversation we have between Sraffa and Wittgenstein is the famous anecdote recounted by Normal Malcolm and Georg Henrik von Wright, from which we learn that the object contended between the two that day on the train was the logical form or the grammar of a proposition, since Wittgenstein sustained that «a proposition and what it describes must have the same "logical form", the same "logical multiplicity"». Our reasoning should begin from this episode since it is precisely on the ground of language, and, to be exact, in the preparation of a logical grammar of language, that we believe it is possible to trace the main elements of contact between Sraffa and Wittgenstein. The object of Sraffian analysis is confined to the problem of determining production prices, which should not to be confused with market or neo-classical equilibrium prices, based on the law of supply and demand. To begin with, Sraffa establishes various hypotheses - that is, he calls for production levels and proportions between means of production to be set so as to eliminate any «marginal» variation and thwart the question of whether returns in each industry are steady or variable. In this way, not considering the problem of production or demand levels, i.e. the absorption or realization of the quantities produced, price analysis can be observed in vacuo (an expression used by Sraffa in regard to standard commodity), reduced to essentials and devoid of subjectivistic elements or the influence of minor disturbances. The process by which the object of the analysis is confined and limited to the study of relations between certain variables (in Sraffa's case, prices and income distribution), is generally justified by the exigency to treat the latter with a degree of precision equal to that guaranteed by physico-mathematical sciences. Now by using this type of method or study technique as an interpretative parameter of a problem, the analysis in the positive that can be carried out on the problem is predominantly of a logical nature, i.e. it is limited to identifying aspects that concern internal logical consistency and formal rigour, since with this process the possibility of verification in terms of relevance is prejudiced by the imposition of «strong hypotheses» on the real aspects (again in the case of Sraffa, the hypothesis of perfect competition, given technology, exclusion of the problem of demand, absence of money, etc.). On the other hand, these same logicians admit that the validity of an instrument of logic is stronger in the case of abstract theories than in the field of empirical sciences. Whatever the case may be, Sraffa is concerned with keeping his analysis within the sphere of «pure theory», clearing it of all «metaphysical» (historical-social) contamination, which, conversely, remains in political economy. As is known, the fundamental concept of price (or value) occupies a prominent position in the history of economic thought. The fact that the so-called «marginalistic revolution» at the end of the last century originated precisely from this concept bears witness to this. Léon Walras, in delineating the object of pure political economy, defined it as «the theory of the determination of prices in a hypothetical system of perfect free competition». It is moreover true, that by virtue of this centrality, the notion of price, whether it derives from the Marxian labour-value theory or the neo-classical theory of value as an indication of scarsity and maximization, subtends and reflects a general view of the economic process, intended in a historic or naturalistic sense. If, on the contrary, price analysis is undertaken, let's say, in a laboratory, and is resolved exclusively from a technical point of view, there will be no «weltanschauung» or «ideological superstructure» behind it and therefore, since the «analytical device» used is offered only as a means of calculation, it us up to other social scientists to appropriate its results and introduce them into a more sophisticated model of explanation of reality, once it has been ascertained that no incompatibility or contradiction exists between the model and reality. In this way, Sraffa's model is devoid of any «Schumpeter-type» of vision. It is written in language that is specific for resolving the problem to be analysed and makes no reference to any implications other than its internal logical consistency, nor does it pretend to formulate laws of movement. For example, given the assumptions of the Sraffa model, the w-r relationship (wage-rate of profit) can only (apart from the case of joint production) be algebrically inverse, but this does not permit the relationship to be considered an economic law of distributive shares, since no explanation is given of what determines wage level and the profit rate; on the contrary, since the model allows a certain «degree of freedom» and since one of the two distributive variables must be determined externally, numerous justifications can be given for the latter's movements (on just how far removed Marx's conception is from an inverse w-r relation, see: Albani, 1979, pp. 13-62). It can be deduced from Sraffa's own affirmation that the language of the «latter» Sraffa (not forgetting that the propositions of Produzioni di merci a mezzo di merci were already delineated before the thirties) is focused entirely on logical ground and concentrates on the scientific rigour of formal axiomatization. It is no novelty that Sraffa's critique on the construction of Marshallian decreasing cost curves, in his articles «Sulle relazioni fra costo e quantità prodotta» and «The Laws of Returns under Competitive Conditions», dated respectively 1925 and 1926, is centred on the problems of logical inconsistency encountered by this construction (Sraffa, 1925; 1926). In the «Symposium on increasing returns and the representative firm», which took place in 1930, arguing polemically with Dennis Holme Robertson, Sraffa writes: «I am trying to find the assumptions implicit in Marshall's theory; if Mr. Robertson regards them as extremely unreal, I sympathize with him. We seem to be agreed that the theory cannot be interpreted in a way which makes it logically self-consistent and, at the same time, reconciles it with the facts it sets out to explain.» (Sraffa, 1930, p. 93). Sraffa stresses the same necessity for rigour with regard to theoretical measures. These cannot merely be simple approximations of reality, but must conform to extremely precise principles. «Theoretical measures», affirmed Sraffa, in 1958 at the Corfù Conference on the theory of capital, «required absolute precision. Any imperfections in these theoretical measures were not merely upsetting, but knocked down the whole theoretical basis» (cf. Lutz and Hague, 1961, p. 305). And in fact, as Krishna R. Bharadwaj emphasizes, «the discovery of the properties of the invariable measure of value [standard commodity, Author's note] is a tribute to Sraffa's deductive logic.» (Bharadwaj, 1975, p.157). But of course, it is a known fact that the logical faculties of Sraffa the «perfectionist» «took the breath away from his contradictors». In this context, it should be pointed out that the theoretical measure of a quantity (the relative price of a commodity, for example) does not allow us automatically to dispose of a conceptual apparatus that is able to explain it, just as the standard commodity, insofar as it is a meter is without doubt unexceptionable but tells us nothing about the source of value (labour, utility, scarsity, time, gelatine, etc. ), because behind the relative prices there must certainly be a prius, otherwise we would be led to believe that prices are explained simultaneously by prices, by virtue of mere uniformity of the profit rate, or that it is sufficient to refer to the «physical, not human, world of technology» (Bharadwaj, 1975, p, 157) to solve the dilemma of the measure of value. Secondly, it is question of understanding how the operation of narrowing down a problem to the control of its logical consistency is at the same time able to return its cognitive relevance in regard to the real world, so as to satisfy «that desirable conciliation between scientific abstraction and reality» which Sraffa himself had openly augured in his article «Sulle relazioni fra costo e quantità prodotta» in 1925 (Sraffa, 1925, p. 45). Without doubt the Sraffian model tends to reproduce the framework of the real world and seems concerned with reflecting its factual development. Sraffa's real world however, represented by a system containing a number k of independent equations which determine k - 1 prices and the profit rate, appears above all as the reflection of a logical world, devoid of contradictions. On the other hand, affirms Wittgenstein, «we could not say how an "illogical" world would seem». Even the more mature Sraffian propositions (those of 1960) refer to a real economic system (this is the term used by Sraffa), even though the physical characteristics on which it is founded, including the existence of a surplus-value, do not allow its nature (capitalistic or collectivistic) to be identified. Sraffa's «realism» is clearly expounded in those pages where the formation of the system-type is discussed, a miniature system in which the various commodities are represented in the aggregate of its production means in the same proportions found among its products. Sraffa imagines that the complex of individual basic-industries which make up the system-type is abstracted in small scale from the economic system of reality and shows that both (real system and system-type) maintain the same properties, i.e. a linear relationship between wages and profit rate. But what are those properties? Particular proportions, writes Sraffa, like those of the system-type, give transparency to a system and show up what was hidden, but they cannot modify its mathematical properties (Sraffa, 1960, p. 30). So, both in the construction of the auxiliary (or «imaginary») system and the real system, Sraffa is interested in having confirmation of the logically sound and unassailable «mathematical properties», that regulate functioning of the standard commodity as an invariable measure of value in the presence of changes in income distribution and for a given technology. Again a control technique emerges, supported by the logical analysis of relations between the variables examined, relations that spring from the configuration of a perfect world, free from errors and contradictions, enucleated through a process of pure logical, and not historical-genetic, abstraction. If this interpretation is acceptable, we must add that «pure logic has the function of freeing us from things that are meaningless, not of telling us what we must believe» (Robinson, 1974, p. 165). Let us enlarge on this passage, beginning with that part of Wittgenstein's theoretical programme which aims at associating the logic and theory of language insofar as it is a representation of facts. In Tractatus Logico-Philosophicus Wittgenstein affirms that logical propositions do not depend on reality, they come before any experience (Wittgenstein, 1964, par. 5.552) and only show the logical properties of language, but do not assert or say anything. They are tautologies (ibidem, par. 6.12). To avoid the fundamental confusion in philosophy a sign language that respects logical grammar and logical sentence-construction is necessary (ibidem, par. 3.325), which must be established without referring to the meaning of a sign, but only assuming the description of the expressions (ibidem, par. 3.33). After all, a logical conception of reality is correct once our sign language is right (ibidem, par. 4.1213). In terms of methodology, Milton Friedman pointed out that economic theory, insofar as it is language, has no independent content, but is a series of tautologies. «Only the canons of formal logic», writes Friedman, «can show if a particular language is complete and coherent, that is, if its propositions are "right" or "wrong"» (Friedman, 1970, p. 38). For Friedman, however, economic theory should be something more than a set of tautologies and must have a certain forecasting capacity. By projecting the analysis in the particular field of price determination and confining the solution to the problem of ascertaining its mathematical properties, Sraffa builds an abstract model, an ideal form, simpler than the real world, and reduces it to algebra, to logic. By doing this, he limits himself, in a Wittgensteinian sense, to showing its formal properties, from which however, no explanation can justifiably be drawn. And in Sraffa in fact there is no explanation of the formation of prices (even technology, the only part of reality that can be «represented» algebrically, is exogenously given data) or on the distribution phenomenon. Sraffian symbolism describes how things stand, not what they are (Wittgenstein, 1964, par. 3.221), a consequence of the fact that the analysis is carried out more in terms of syntax than semantics. Compared with the «first» Wittgenstein, the language of Sraffa appears to be confined within the limits of what can be said in the sense that «outside of logic everything is accidental» (ibidem, par. 6.3). The control of the formal level of a theory (the neo-classical theory in Produzione di merci a mezzo di merci) is indicated by Sraffa as the basis and premise of a critique, but it does not exhaust all the analytical potential of the scientific work which has among its basic functions, the ascertainment of the relevance of its affirmations, once their formal correctness is recognized; in other words, finding a suture between «concepts» and «facts». This control is, therefore a decisive prerequisite, though not exhaustive, in deciding that one theory is «better» than another, in the case of both being logically perfect. «If the foundation holds», affirms Sraffa, «the critique may be attempted later, either by the writer or by someone younger and better equipped for the task» (Sraffa, 1960, p. VII). This could be interpreted, albeit with some degree of elasticity, as an invitation to go as far as to ascertain the exclusively logical-formal aspects of economic propositions. It is undeniable, however, that since the publication of Produzione di merci a mezzo di merci, which already contained the fundamental aspects of the double critique on the neo-classic notion of capital (error of the «Austrian» average period of production and reswitching of techniques), debate on economic theory, amongst parables and paradoxes, has chosen and taken the road of formal controversies, so sterile that, outside the historical seats of the two Cambridges (English and American), they were considered «rather stupid» (Harcourt, 1973, p. 125) and responsibles of a waste of intellectual energies (Hahn, 1981). Apart from the differences in school and method of approach of the economists who participated at this memorable encounter, the result it appears to have produced on theoretical research is worthy of some considerations. Once the themes of logical consistency as a central nucleus of critique are established and privileged, the adjustment, which the albeit differing theories subject to control have been obliged to effect as a countermeasure, is substantially identical. So that while all reference and connection to labour-value has been deleted from the Marxist theory, the aggregate concept of capital no longer plays a role in the neo-classical one, as in the refined version of intertemporal economic equilibrium models (Medio, 1974; Pizzuto, 1976). Once the «logical vicious circle» had been individuated both in the Marxian analysis of prices and in the neo-classical analysis of capital, it appeared sufficient to remove the «diseased body» from both of them to overcome the hurdle. For both theories - Marxist and Neo-classical - an identical way out was proposed, that of thwarting concepts that were weak owing to their inconsistency in order to ward off the blows in terms of logic holding and at the same time re-establish a statute of scientific assumptions for their respective basic structures. In this way the image that economic theory offers of itself is one of a machine for which it is sufficient to change the faulty parts (in other words, the theory of prices and capital) to guarantee its functioning. What significance therefore do the univocal conclusions of such distant theories assume, beyond the banal affirmation that a problem presenting aporias in terms of logical consistency can be resolved through its negation? After Sraffa, assumption of the logical-formal principle as a «deus ex machina» for the judgement of a theory (a principle that is necessary but not sufficient) has triggered an analytical process which is more intent on exhalting technical adjustments and algorithmic expedients than improving the organization of economy as a science, whose principal object is invariably the study of real mechanisms that characterize historical-social systems of which, it should be said in passing, their metamorphoses cannot be understood through generalizations commonly used to explain physical processes (Winch, 1972). If the problem of logical consistency is hypostatized and autonomized outside its connection with reality, the only advantage to economy is that it will move in accordance with the Kantian assertion that a discipline «contains as much science proper as mathematics in it that can be applied», which echoes an identical opinion given by Leonardo da Vinci, who affirmed «nisuna umana investigazione si può dimandare vera scienza s'ea non passa per le matematiche dimostrazioni». But just as today no mathematician, faced with Kurt Gödel's so-called «theorem of undecidability» would dream of attributing a seal of absolute truth and certainty to his own propositions, so no demonstration of economy that stops before the evidence of the logical-mathematical properties of a system can in itself by exhaustive and complete. What therefore are we to learn from the conflicts which broke out at Cambridge over the Sraffian enunciations on logical consistency? In the first instance, since logical demonstration is only a «mechanical means for recognizing tautology more easily, in the case that this is complicated» (Wittgenstein, 1964, par. 6.1262), those disputes allow us to conclude that «there can never be any surprises in logic» (ibidem, par. 6.1215), in the sense that it always appears plausible, through a series of suitable techniques and expedients (Sraffa's simultaneous determination of prices and profit rate and Debreu-type intertemporality) to re-establish the supremacy of consistency. For example, given that the deficiency to overcome is only of a logical nature, then even the erroneous Marxian transformation of values into prices, which Marx himself was the first to realize, could be saved. In fact a formal solution is always possible, in the sense that there is nothing to prevent prices being derived mathematically from labour-values (Nuti, 1981). From a conceptual viewpoint, however, the problem of the meaning to attribute to the value-prices algebric relation remains unsolved and therefore even by taking this logically perfect way out, no satisfactory explanation is reached. In the second place, it is also true that the debate on «capital», assumed here as being symptomatic of a tendency within the theoretical dispute between the various economic schools, contains a certain positiveness, which is that of having pushed to extreme consequences that gap between rigour and realism, from which economic science still appears to suffer in part. If we keep the two cases strictly separate, it follows that, by choosing the first, we move away from reality, evoking only «empty boxes» and «elegant exercises», whereas by remaining prisoners of empiricism, there is a risk of juxtaposing an imperfect theoretical structure (Lunghini, 1975, p. XXVII). The difficulty of finding a connection between the two levels of economic analysis, or rather, of creating a fruitful co-existence between theoretical and socio-political propositions is often attributable to an obsolete concept of science which still hovers ghostlike among economists. Neo-positivistic type formulations on scientific knowledge, from which some economists continue to borrow the idea of an infallible, rigorous and universally utilizable science, have been scaled down, not without some unproductive extremism, by recent epistemological criticism which, not by chance, recalls, albeit in different ways and forms, the «second» Wittgenstein. The so-called «new philosophy of science» (Thomas Kuhn, Paul K. Feyerabend, Norwood Russell Hanson, Stephen Toulmin, Michael Polanyi) has now definitively clarified that: «it is not true that "it is possible to judge whether a given discipline is scientific or not, without implicating values"; it is not true that the so-called external factors "are completely out of place" in science; it is not true that a distinct demarcation line can be traced between science and the ideas of metaphysics". "Science is not so clear and distinct or so transparent as Cartesian tradition would have had or thought it was or even as a great many scientists, when they speak of it and not when they practise it, think it is". Nor is the rationality of science that or only that of apodictic demonstration or the formal algorithm [...].» (Zamagni, 1982, p. 19). Within this framework of reference, the methodological reductionism of those economists (neo-Ricardian, neo-classical, and the odd neo-Marxist, obviously with the due caution called for in any generalization) who appear to content themselves with logical consistency to define a distinct watershed between scientific theories and otherwise, is a symptom of the same limit that involves neo-positivism (or at least one of its components) for which the only legitimation of science lies in the logical-formal order of its language. In terms of method the disturbing element here is forcing of the viewpoint. Despite unconditional shortcuts, in the scientific method it has been ascertained that there is a paradox, a sort of principle of indetermination, to the extent to which the rules or norms of conduct that regulate the form of knowledge show an imprecise prescriptive content and prove to be inadequate to satisfy embarrassing questions of the type: when must a fact that is contrary to a theory be considered a simple tolerable anomaly and when, conversely, a negative experience? and how many anomalies must be allowed before a theory or an hypothesis is substituted? (Pera, 1982, pp. 22-27). If the use of the rules entails their association with interpretations and valuations that are necessarily personal and therefore discretional, then the structure of the rules must be open to a series of elements - criteria, options, convictions, desires, myths, idiosyncrasies, intuitions - which transfer (empirical) science from the realm of demonstration to the field of argumentation, without this shift producing self-destructive effects. Imprecision of rules does not lead to their uselessness or harmfulness; they remain as a constraint for those who aim for the constitutional values of science (ibidem, pp. 29-30). The question of the «rules» takes us back again to Wittgenstein and on to a further specification and wider interpretation of Sraffa in keeping with Wittgensteinian philosophy. Throughout the process of revision which from criticism of primary, ideal, language arrives at language games, the problem of rule assumes a central role in Wittgenstein's analysis and constitutes a privileged area within which the turning point is reached (Gargani, 1983, p. XXXII; see also Kripke, 1984). For an understanding of the importance of this passage, let us follow the essential lines of the latter Wittgenstein's basic ideas. The Austrian philosopher begins with the consideration that words are instruments. «Think of the instruments to be found in a tool-box: a hammer, a pair of pincers, a saw, a screw-driver, a ruler, a glue pan, nails and screws. - The different functions of these objects are comparable to the different functions of words.» (Wittgenstein, 1980, par. 11). Language and its concepts are, therefore instruments (ibidem, par. 569). Now, what the words stand for is shown by the way they are used. «Each sign, on its own, seems lifeless. What gives it life? - On using it, it comes back to life» (ibidem, par. 432). On the other hand, «without the use of dialogue and writing, men would be unable to communicate» (ibidem, par. 491) , and besides «one of the main sources of our incomprehension is the fact that we do not see clearly the use of our words.» (ibidem, par. 122). Naturally, there are numerous different ways of using what are called «signs» and «words». «This multiplicity is not something that is fixed, given once and for all; new types of language, we could say, new language games, develop while others grow old and are forgotten» (ibidem, par. 23). Language games are intended as terms of comparison to clarify the state of our language through similarities and dissimilarities (ibidem, par. 130). For Wittgenstein, the entire process of the use of words is like «one of those games in which children learn their mother tongue» (ibidem, par. 7). But «the game must be played by the rules! So that, if the rule of a game calls for kings to be used to draw lots for the colours of the game, then this rule is an essential part of the game» (ibidem, par. 567). Use, insofar as it is the matrix of the meaning of a world, is governed by a rule that is there, like a road sign (ibidem, par. 85). Therefore, the question, «What precisely is a word?» is the same as asking: «What is a chessman?» (ibidem, par. 108). For Wittgenstein, then, following a rule is normal practice, «it is the same as obeying a command. One is trained to obey a command and to react to it in a certain way» (ibidem, par. 206). «Following a rule, making a communication, giving an order, playing a game of chess are habits (uses, institutions)» (ibidem, par. 199). The observance of a rule originates, therefore, from an activity within the framework of a form of life, of our natural history, and not from the attitude of an interpretation which, as such, does not determine a meaning (ibidem, par. 201). «In our considerations», Wittgenstein points out, «nothing can be hypothetical. Every explanation must be outlawed, leaving only description to take its place» (ibidem, par. 109). The concept of the rule for use in the latter Wittgenstein acquires a new methodological, operative statute, linked to human decisions and conduct and no longer committed to transmitting ideal representations and contents or expressing procedures that correspond to the structure of an algorithm (Gargani, 1980, pp. 87-90). The normative power of logic, able to regulate language through strict rules of calculation, is therefore at issue. «We recognise that what we call a "proposition" or "language" is not that formal unit we imagined, but a family of constructions related to each other to a lesser or greater degree. And what becomes of logic? Here its rigour appears to dissolve.» (Wittgenstein, 1980, par. 108). For the purposes of an exegesis of the Sraffian propositions, what can we conclude from this analysis of the rules which, together with the latter Wittgenstein's considerations, has had, as already mentioned, considerable influence on modern epistemology? If the interpretation is correct whereby, in resolving the determination of prices by a method of calculation, Sraffian symbolism confines economic language within the canons of logical grammar, it is likewise true that grammar «only describes, but in no way explains the use of signs» (Wittgenstein, 1980, par. 496). Therefore, borrowing an interpretation from Wittgensteinian reasoning, once the rules being followed in the use of Sraffian signs have been clarified, they can be transferred to different narrations, Marxist, neo-classical or neo-Keynesian, for example. And it is this, in the form of a synthesis, that economists of different schools have promoted in practice (as an example, for a Sraffa-Marx «synthesis», see: Garegnani, 1981; for a Sraffa-Walras «synthesis»: Arcelli, 1964; for a Sraffa-Keynes «synthesis»: Vicarelli, 1974). Sraffa shows us that the use of propositions can be applied to numerous contexts, providing that the governing rules are clear and closely followed. But, again following Wittgensteinian instructions, since the use of (Sraffian) propositions determines their meaning and since the pursuit of a rule presents an «open texture» and suffers from economists' «habits», this is why Sraffa, according to circumstance, at times appears a Marxist (for having reproposed the theory of surplus and the inverse wage-profits relation), at times a marginalist (because of the formal analogies of his model, under the condition of steady returns, with the «fixed coefficient Walras-Cassell-Leontief» model) and at other a Keynesian (because of his reference in Produzione di merci a mezzo di merci to the influence of money interest rates on the profit rate). If the rule for use to be followed is that of logical consistency in the determination of prices, then it will be sufficient to introduce Sraffa's operative technique to the corpus of Marxist, neo-classical or neo-Keynesian theories of value and distribution and the (language) game will be complete, since there is nothing to stop the technique «serving more than one master». Having said this it is easy to see that the conclusion of this research on the Sraffa-Wittgenstein relationship can only be a non-conclusion: the philosophy of the «first» and «second» Wittgenstein helps to show that, on the one hand, the language of Sraffa explains nothing, and only allows itself to be explained and, on the other, that the use of Sraffa, like his model, has a degree of freedom and leaves open - once the requisite of internal logical consistency has been satisfied - all theoretical alternatives. * This essay - new elaboration of my preceding work (Albani, 1984) - is my report to the first meeting of the «European Society for the History of Economics», Rotterdam (The Netherlands), February 10-11, 1995. Albani, Paolo (1979), Crisi del profitto e sviluppo capitalistico, Florence, La Nuova Italia. 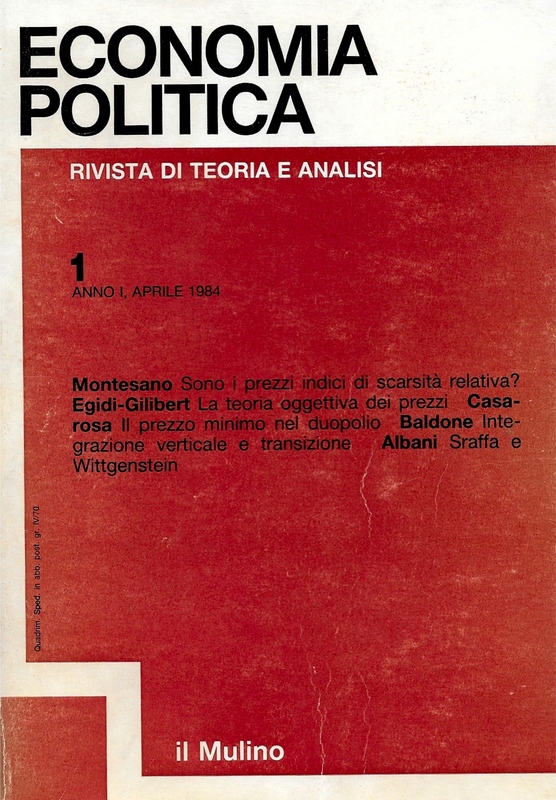 Albani, Paolo (1984), «Teoria economica e linguaggio scientifico. Elementi per uno studio sul rapporto Sraffa-Wittgenstein», Economia Politica, 1, April, pp. 107-142. Arcelli, Mario (1964), «Analisi a "livello soggettivo" e a "livello oggettivo" nella determinazione di un sistema di prezzi relativi», L'industria, 3, July-September, pp. 287-318. Benvenuto, Sergio (1983), «Wittgenstein e la moderna trinità», Mondoperaio, 1/2, January/February, pp. 104-110. Bharadway, Krishna R. (1975), «Valore e distribuzione esogena», in: Lunghini, Giorgio, ed., Produzione, capitale e distribuzione, Milan, Isedi, pp. 153-161. Davis, John B. (1988), «Sraffa, Wittgenstein and neoclassical economics», Cambridge Journal of Economics, 12, pp. 29-36. Eagleton, Terry (1982), «Wittgenstein's Friends», New Left Review, 135, September-October, pp. 64-90. Friedman, Milton (1970), «La metodologia dell'economia positiva», in: Breit, William and Hochman, Harold M., eds., Problemi di microeconomia, vol. I, Milan, Etas Kompass, pp. 33-73. Garegnani, Pierangelo (1981), Marx e gli economisti classici, Turin, Einaudi. Gargani, Aldo G. (1980), Introduzione a Wittgenstein, Bari, Laterza. Gargani, Aldo G. (1983), «Introduzione» to: Wittgenstein, Ludwig, Libro blu e libro marrone, Turin, Einaudi, pp. VII-XLV. Gramsci, Antonio (1971), La costruzione del Partito Comunista (1923-1926), Turin, Einaudi. Hahn, Frank (1981), «Il mestiere dell'economista come lo vedo io», Politica ed Economia, 5, May, pp. 49-50. Harcourt, Geoffrey Colin (1973), La teoria del capitale, Milan, Isedi. Kripke, Saul (1984), Wittgenstein su regole e linguaggio privato, Turin, Boringhieri. Lunghini, Giorgio (1975), «Teoria economica ed economia politica: note su Sraffa», introdution to: Lunghini, Giorgio, ed., Produzione, capitale e distribuzione, Milan, Isedi, pp. XI-XXVIII. Lutz, Friedrich August and Hague, Douglas Chalmers, eds., (1961), The Theory of Capital, London, Macmillan & Co.
Macchioro, Aurelio (1973), «A proposito di una collana Isedi di classici del pensiero economico», Storia del pensiero economico. Bollettino di informazione, 1, January, pp. 12-19. Malcom, Norman (1974), Ludwig Wittgenstein, Milan, Bompiani. McGuiness, Brian (1986), «Sraffa, Wittgenstein e i problemi del metodo logico», in: Bellofiore, Riccardo, ed., Tra teoria economica e grande cultura europea: Piero Sraffa, Milan, Franco Angeli, pp. 85-92. Medio, Alfredo (1974), «Neoclassici, neoricardiani e Marx», in: Veca, Salvatore, ed., Marxismo e critica delle teorie economiche, Milan, Mazzotta, pp. 107-167. Monk, David (1991), Wittgenstein il dovere del genio, Milan, Bompiani. Nuti, Domenico Mario (1981), «La trasformazione dei valori in prezzi di produzione e la teoria marxiana dello sfruttamento», in: Panizza, Roberto and Vicarelli, Silvano, eds., Valori e prezzi nella teoria di Marx, Turin, Einaudi, pp. 211-263. Pera, Marcello (1982), Apologia del metodo, Bari, Laterza. Pizzuto, Giorgio (1976), «Equilibrio economico generale e teoria del capitale», in: Marcuzzo, Maria Cristina, ed., Problemi e storia delle teorie economiche, Milan, Mazzotta, pp. 136-160. Potier, Jean-Pierre (1990), Piero Sraffa. Biografia, Rome, Editori Riuniti. Robinson, Joan (1974), «Una riesposizione della teoria del valore», in: Botta, Franco, ed., Il dibatttto su Sraffa, Bari, De Donato, pp. 153-165. Roncaglia, Alessandro (1975), Sraffa e la teoria dei prezzi, Bari, Laterza. Rossi-Landi, Ferruccio (1968), Il linguaggio come lavoro e come mercato, Milan, Bompiani. Sraffa, Piero (1925), «Sulle relazioni fra costo e quantità prodotta», Annali di economia, II, pp. 277-328 (also in: Sraffa, Piero, Saggi, Bologna, il Mulino, 1986, pp. 15-65, for our citation). Sraffa, Piero (1926), «The Laws of Returns under Competitive Conditions», Economic Journal, 36, pp. 535-550 (also in: Sraffa, Piero, Saggi, Bologna, il Mulino, 1986, pp. 67-101). Sraffa, Piero (1930), «A Criticism» and «Rejoinder», interventions in the Symposium on «Increasing Returns and the Representative Firm», Economic Journal, XL, pp. 89-93. Sraffa, Piero (1960), Produzione di merci a mezzo di merci, Turin, Einaudi. Togliatti, Palmiro (1984), La formazione del gruppo dirigente del Partito comunista italiano nel 1923-1924, Rome, Editori Riuniti. Vicarelli, Fausto (1974), «Disoccupazione e prezzi relativi: un tentativo di reinterpretazione di Keynes», in: Vicarelli, Fausto, ed., La controversia keynesiana, Bologna, Il Mulino, pp. 207-232. Winch, Peter (1972), Il concetto di scienza sociale e le sue relazioni con la filosofia, Milan, Il Saggiatore. Wittgenstein, Ludwig (1964), Tractatus logicus-philosophicus e Quaderni 1914-1916, Turin, Einaudi. Wittgenstein, Ludwig (1980a), Ricerche filosofiche, Turin, Einaudi. Wittgenstein, Ludwig (1980b), Pensieri diversi, Milan, Adelphi. Wright, Georg Henrik von (1983), Wittgenstein, Bologna, Il Mulino. Zamagni, Stefano (1982), «Introduzione» to: Zamagni, Stefano, ed., Saggi di filosofia della scienza economica, Florence, La Nuova Italia, pp. 9-31. The thesis here discussed is that the philosophy of Wittgenstein can be utilized, in a specific sense, as an explicative device to understand the Sraffian critique to economic theory and, in so doing, it can help to clarify its methodological scope. In the interwar period the cultural milieu in Cambridge is characterized by a double revolution. On the philosophical front, a struggle is started against the school of thought of absolute idealism and in favour of the reasons of Common Sense and of the assumption of validity of natural and mathematical sciences; on the economic front, the foundations of the future keynesian paradigm are laid down. It is in such a context of a profound revision of the Victorian culture that the friendship between Sraffa and Wittgenstein takes form and develops and, more generally, the cooperation within that group of intellectuals (logicians, mathematicians, philosophers, economists) which made alive the cultural debate in Cambridge at the beginning of the century. After a quick survey of some of the contributions which have touched upon the theme of the link between Sraffa and Wittgenstein, the paper deals with the central topic, i. e. the logical language underlying the Sraffian propositions. The simbolism used by Sraffa, in so far as it reduces to a calculus for the determination of prices, relegates the economic language within the canons of a logical grammar. The latter, however, as Wittgenstein states, «only describes, but in no way explains the use of symbols». It follows that, by mere extrapolation of the core of the Wittgenstein reasoning, one can maintain that, once the rules employed in the use of the Sraffian simbols have been clarified, it becomes possible to transfer them within a marxian, neoclassical or neokeynesian universe of discourse. Indeed, this is what economists of different schools of thought have done in their practice. The philosophy of «the first» and «second» Wittgenstein helps to understand, on the one hand, that the Sraffian language does not explain anything — it only allows to be explained — and, on the other hand, that the use of Sraffa, as well as his own model, possesses a degree of freedom and, once the requirement of internal logical consistency has been met, it leaves all the theoretical alternatives open. 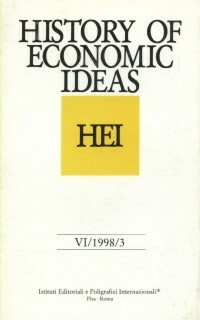 History of Economic Ideas, Anno VI, 3, 1998, pp. 151-173. Questo saggio è segnalato (vedi p. 1242) in Sraffa, Wittgenstein and Gramsci dell'economista e filosofo indiano Amartya Sen, premio Nobel per l'Economia nel 1998, apparso sul Journal of Economic Literature, Vol. XLI, 4, December 2003, pp. 1240-1255. Per leggere il saggio di Sen cliccate qui. La prima versione di questo saggio era uscita in italiano su "Economia politica", Anno I, 1, aprile 1984, pp. 107-142, con il titolo: Teoria economica e linguaggio scientifico. Elementi per uno studio sul rapporto Sraffa-Wittgenstein.